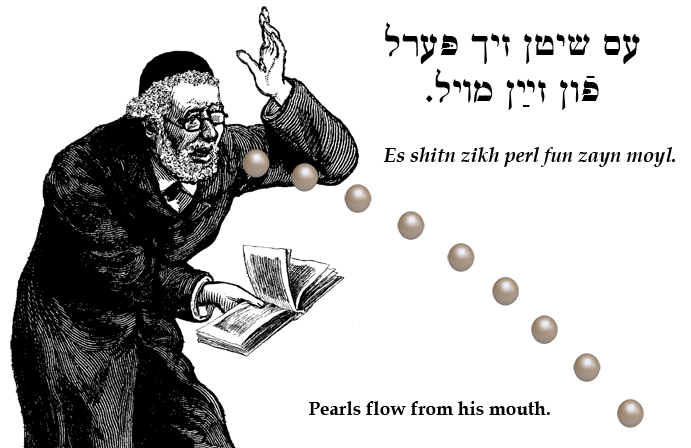 Yiddish Wit: Pearls flow from his mouth. עס שיטן זיך פּערל פֿון זײַן מויל. Es shitn zikh perl fun zayn moyl. Pearls flow from his mouth. He speaks with eloquence and wisdom. SOURCE: Bernstein, Jüdische Sprichwörter und Redensarten.